Participants: Mario Aguilar, Marcello Averbug, Cecilio Berndsen, Jorge Claro, Clara Estrada, Jorge Garcia-Garcia, Alberto Gómez, Jaime Jaramillo, John Redwood, Lucía Redwood, Jorge Requena, Alfonso Sánchez, Jairo Sanchez, Ricardo Santiago, Ginger Smart, German Zincke. The Wine: Winemaker Notes: Pale yellow color with emerald green tint. Rich nose dominated by citrus fruits and green lemon. The second nose, more complex, reveals exotic fruits (pineapple, mango), anise and bitter almond aromas. A well balanced and fresh wine with a lemony finish – just like biting into a fresh, ripe grape. This wine is 100% Marsanne. The Winery: Located between Valence and Lyon, Cave de Tain lies at the foot of the Hermitage hillside. At the heart of the historic northern Rhône vineyards, the Cave produces and markets 5 “cru” wines and single varietal Vins de Pays from over 1000 hectares of vines (appellations Hermitage, Crozes Hermitage, Saint Joseph, Cornas and Saint Peray), making it the leading producer of “cru” wines in the northern Rhône Valley. (From Wine Searcher) Hermitage, the rich Syrah-based red from the northern Rhone Valley, is one of France’s most enduringly prestigious wines. It sits on the very top rung of Rhone Valley wines, which it shares only with those from the Cote Rotie (30 miles/45km to the north), and Chateauneuf-du-Pape (70 miles/110km to the south). Its white counterpart – Hermitage Blanc – is no less revered, and accounts for about one third of the appellation’s annual production. Both red and white Hermitage wines are long-lived and full-bodied. The red wines, which may be aged for 30 years or more, are produced exclusively from Syrah and are known for their rich aromas of leather, coffee and red berries. The less-famous whites, which may be cellared for about 15 years, have aromas of honeysuckle, tropical fruit and earthy minerals. They are made predominantly from Marsanne, with limited use of Roussanne. The Wine: Winemaker Notes: This wine reflects the up & coming Shiraz vineyards of the Barossa, rather than the battle hardened old vines which make up the core of our other cuvee’s. Full of deep, dark berry fruit, the 2015 vintage is sensational array of opulent rich fruit with a wonderful freshness and balance. A dark deep, central core of fruit gives way to an intense textural mid palate full of mocha, plum, spice and dark chocolate. Whilst offering immense pleasure in its youth the 2015 Woodcutter’s Shiraz will certainly develop into an impressive wine with a few years in the cellar. Another fantastic introduction to the Torbreck range. The Winery: (from Wine Searcher) Torbreck is a leading wine producer in the Barossa Valley region of Australia, specializing in Shiraz. It is particularly known for its powerful and aromatic flagship Runrig Shiraz (made from 120-160-year-old vines with a dash of Viognier), and The Laird, a single vineyard Shiraz that is one of the most expensive wines made in Australia. However, Torbreck makes around 15 wines in all, and the portfolio is based around Rhône varieties like Grenache, Mourvedre, Viognier, Marsanne and Roussanne.The estate was founded by David Powell in 1994 with grapes initially obtained on a sharecropping basis. The name comes from a forest in Scotland where he once worked as a lumberjack, and many of the wines also have Scottish-themed names. Torbreck has developed its own vineyard holdings but much of its fruit is still sourced from selected growers throughout the Barossa Valley. The Wine: This is a 100% Syrah wine. Columbia Valley, Washington- Shows great varietal expression laced with layers of rich cassis, dark chocolate and pepper. Smooth on the palate with a long-lasting finish, aged 22 months in French oak, hand-crafted by Jeff Gordon and his family. Tasting Notes: Our 2013 Syrah reveals an intense deep purple with hues of garnet at the margins. Dense dark fruit aromas lead to more subtle notes of roasted coffee, forest floor and rose petal. For all the aromas of dark fruit the impression on the palate is plush and velvety with bright flavors of red fruit, fresh sprigs of thyme and oregano, freshly peeled orange and a touch of violets. The finish is long and lingering with a gentleness of fruit that keeps coming through. The Winery: The vineyard is sustainably farmed and the surrounding cherry orchards and cropland are certified organic. With a unique volcanic soil breakdown that includes basalt, sandy loam, clay loam and gravelly loam, the earth of the Gordon Estate vineyard produces grapes of great depth and intensity. The south-facing site is perched some 620 feet above sea-level along the Snake River. The vineyard has excellent air drainage and benefits from the river’s moderating influence. The vines are sometimes blanketed by snow in the winter, but spring and summer offer sunshine and warmth allowing the grapes to ripen completely. Temperatures during the growing season can fluctuate from 95 degrees Fahrenheit the day to 55 degrees Fahrenheit at night, enabling the grapes to develop high acids and high sugar levels. The majority of the 100-acre estate vineyard is planted with Cabernet Sauvignon, Merlot, Syrah, Chardonnay, Sauvignon Blanc and Gewürztraminer, with small experimental lots set aside for Tempranillo and Malbec. The Wine: The northern Rhône’s biggest appellation, sufficiently similar to the great Hermitage to have earned the right to affix that name to it. Like Hermitage it is made from 100% Syrah. This wine offers seductive plum-rich fruit with a twist of smoky spice on the finish. Delicious with roast meats, game and casseroles. 2015 Nobles Rives, Cave de Tain, Crozes Hermitage Blanc –Good to Very Good ($22) WE 88 Pts. 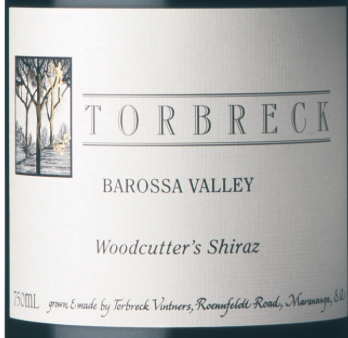 2015 Torbreck Woodcutter’s Shiraz, Barossa Valley – Good to Very Good ($25) WS 93 Pts. 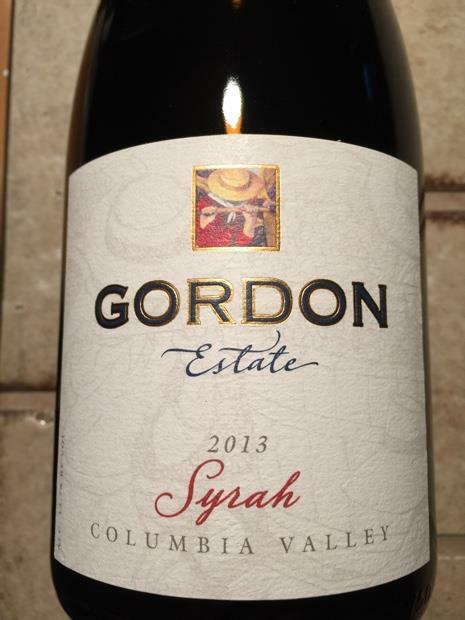 2013 Gordon Estate, Shiraz, Columbia Valley – Very Good to Excellent ($27) WE 88 Pts. 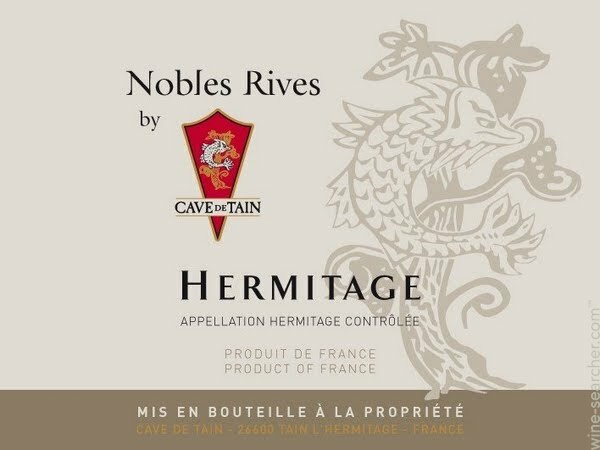 2014 Nobles Rives, Cave de Tain, Hermitage – Very Good to Excellent ($60) WS 88 Pts. 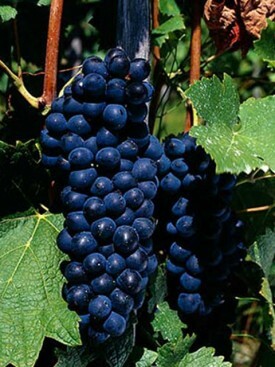 Syrah is a dark-skinned red wine grape. Its origins have been popularly debated, but its modern viticultural home is unquestionably the northern Rhône Valley of eastern France. In Australia, Syrah has developed such a distinct personality that it is essentially regarded as a distinct variety, is overwhelmingly known as Shiraz, and is regarded as the flagship national grape. Syrah is also an extremely useful blending grape due to its deep color and typically high tannins. In the southern Rhône it is common for Syrah to be blended with any combination of Grenache, Mourvèdre, Carignan and Cinsaut, among others. Some of the world’s most famous Syrah wines are the peppery, earthy reds of the northern Rhône, specifically of the Côte-Rôtie, Hermitage, Cornas and Saint-Joseph appellations. While Hermitage has been held in high regard for many centuries, the “roasted slopes” of Côte-Rôtie have emerged as a leading source of Syrah only towards the end of the 20th Century. In Côte-Rôtie, up to 20 percent Viognier can be co-fermented with the red grapes to lift aromas and stabilize color; Syrah-Viognier blends are now made in many other regions. One of Syrah’s most valued assets is its ability to produce wines capable of aging and improving over many decades. The most valued appellation in this regard is the hill of Hermitage; its name is so respected that for many years it was used as a synonym for Syrah in Australia. A well-built Hermitage requires 10 years or more to relax into its plummy, spicy fullness, and will reward cellaring for a further decade at least. Several hundred miles up the Rhône Valley from Hermitage, near the river’s origins at the Rhône Glacier, Syrah has found a happy home in the Valais, in warm, sheltered sloping vineyards where it can produce remarkably full, complex wines. A further 700 kilometers (450 miles) east, the grape variety enjoys the climate of eastern Austria’s Burgenland, moderated by the waters of Lake Neusiedl. Across the Atlantic Ocean Syrah has a cult following in the western United States, in California, Washington and Oregon. While it has not seen the runaway success enjoyed by Cabernet Sauvignon or Zinfandel, nor the feverish worship of Pinot Noir, a dedicated band of American winemakers has been devotedly working with Syrah since the 1970s. Known as the Rhône Rangers, these men and women have proven that the variety can produce complex, rich wines in all three of the above states. Further south, Syrah has been proving itself in both Chile and Argentina for at least 20 years, and is finding its own style on either side of the Andean peaks. It has also achieved success in New Zealand, and in South Africa. In many Syrah-based blends, it plays a supporting role, helping to beef up the wine’s mid-palate and adds structural elements to Grenache’s rather open-knit texture. When the roles are reversed, Syrah takes the lead and can be a fascinating exercise in wine blending. Syrah is so much more assertive than Grenache, for example, that while a dollop of Syrah in a Grenache-based wine can have a profound affect, the reverse is rarely true. Australia is arguably the king of Syrah-based blends, using the classic blending grapes of Syrah and Mourvedre, but also experimenting with Cabernet, for example, as well as the classic Cote Rôtie blend that marries Syrah with a dollop of Viognier. This practice, one that can lighten the power of Syrah a bit while boosting aromatic intensity and complexity gaining strength in Australia while it fades from use in the Northern Rhone. Blessed with pronounced savory elements that include flavors and aromas of game, grilled meat and olives, Syrah is not always an easy wine to understand. It’s also rather well endowed with tannins and acids. In short, it has so much of what people seem to shun in wine that it’s a miracle there’s any still planted. Cotes du Rhône and Languedoc-Roussillon, in France, Castilla la Mancha, Extremadura. Catalonia, Valencia and Aragon, in Spain. This entry was posted in Meeting Abstract and tagged Australia, Columbia River, Marsanne, New World- Old World, Rhone, Shiraz, Syrah. Bookmark the permalink.